The stocks have experienced a more volatile ride during the last week. The swings were caused by a number of negative and positive events such as Election in Italy, Trade War, and Job Growth. While you may examine each of them and see how they impact the financial markets, the fact is that stock market swallows short-term fluctuations and thus, looking at a big picture of a trend is the most important. A previous market review suggested a formation of patterns in the stock market, which this week is likely to complete and break out. 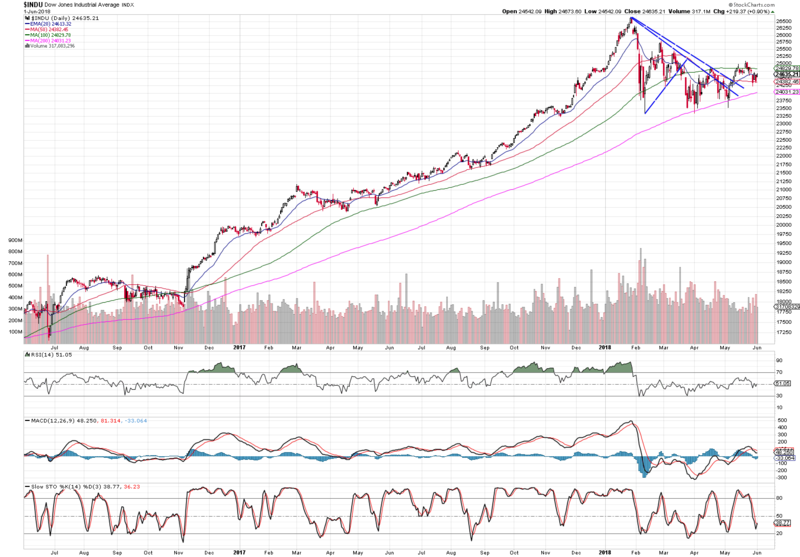 After S&P has broken from a descending triangle pattern, it has also tested its new support reverting slightly back and now positioning for a swing up. Dow is stuck between 100 and 200 SMA. 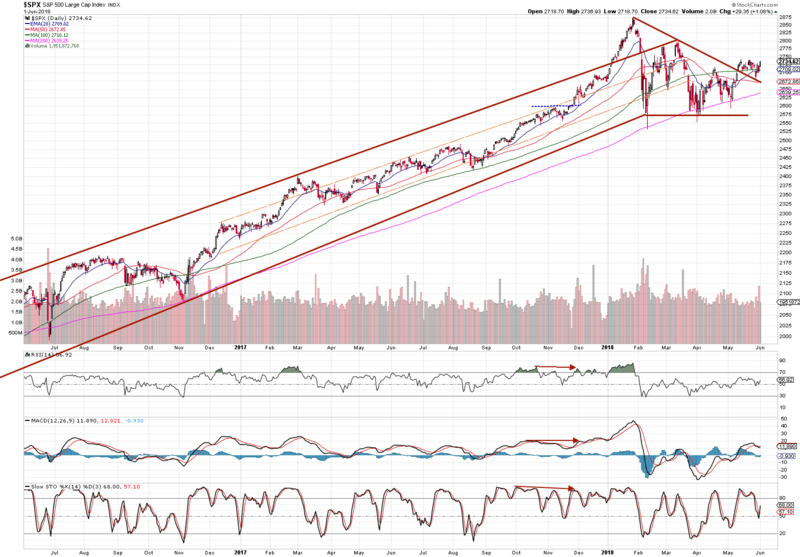 As already indicated in a last week’s market review, Nasdaq has developed a Flag Pattern. The jobs report obviously helped to complete the pattern and thus also arranged a breakout on Friday. Nasdaq is likely to keep rising this week. The FTSE100 is consolidating its previous gains. 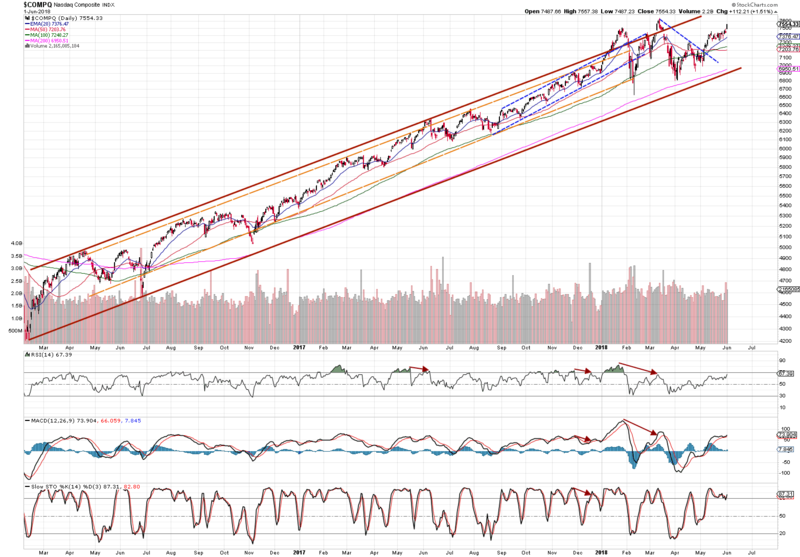 The red line serves as its current resistance level. The market review suggests the stock markets are aiming another bull run in long-term, although we still need to break some resistance levels. Therefore, it is important to choose strong stocks to invest in – companies with powerful fundamentals and bright technical setups.